Xiaomi has resumed Android Oreo with bug-fix for the Mi A1 in India. Read more to find out how to install the new software. After halting the Android Oreo roll-out over the emergence of bugs, the company has resumed the deployment process, but with more stable and bug-free software. Xiaomi, during the launch of the Mi A1, announced that it'll release Android Oreo update before the end of 2017. Keeping true to its words, the company managed to roll-out the software on December 31, but the excitement among consumers was short lived as the device performance took a hit, and the software was riddled with bugs. 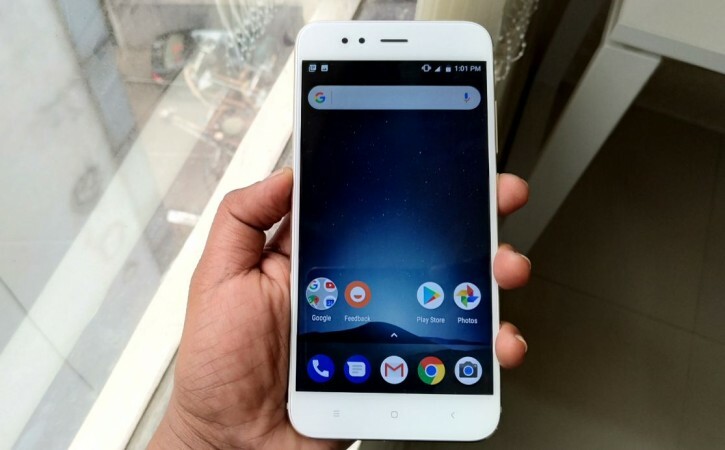 Taking note of the severity of the issue, the company suspended Android Oreo release for Mi A1 handsets. Now, an improved software is said to fix the issues such as unresponsive dialler app, Bluetooth battery draining, random reboots and many more, reported FoneArena. In addition to the bug-fix, the company has added Google's latest January 2018 security patch. It has to be noted that Xiaomi is releasing the update in two versions, one a smaller 90MB firmware for the Mi A1, which is already upgraded to the Android Oreo and bigger 1.1GB software for those, which are still running the older Android Nougat. Once you get the update notification on your screen, select "Yes, I'm in." Since the OTA roll-out process is being carried out in stages, it will take a few weeks to reach all regions. Until then, device owners can check for updates manually by going to Settings >> About Phone >> System Updates >>Check for the new firmware. Android Oreo comes with several features such as Rescue Party feature, which helps the device to recover from constant boot loops and also additional enhancement in security via Google Play Protect that checks suspicious activities and malware in applications, camera photo taking improvements, performance optimisation and latest security patch. It also significantly reduces the booting time, extend battery life by cutting down on unnecessary activities of apps in the background, and add more fluid experiences to phones and tablets. Android also brings new features such as picture-in-picture, which allows users to do two tasks simultaneously like checking the calendar while planning a party on a Duo video call. And Smart Text Selection improves copy and paste. With the help of machine learning to recognise entities on the screen—like a complete address—users will be able to easily select text they want with a double tap, and even bring up an app like Maps to help during navigation. Stay tuned. Follow us @IBTimesIN_Tech on Twitter for latest updates on Google Android Oreo release schedule and Xiaomi products.